Susan M. Hicks received a B.S. from George Mason University and her J.D., with honors, from Georgetown University. She was admitted to practice law in Virginia in 1984. Susan has over 30 years of trial experience, including numerous appellate court cases. Her peers have recognized her by electing her a Fellow in the American Academy of Matrimonial Lawyers and she has received Martindale’s top rating of AV. Susan has been recognized in The Washington Post Magazine as one of the Best Lawyers in America (2008-present) and was the Family Law Lawyer of the Year in 2017. 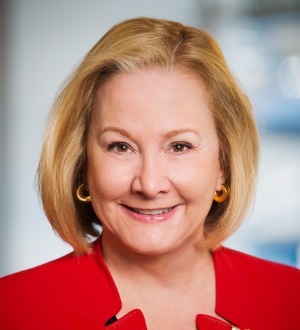 Susan is an active member of the Virginia State Bar, Virginia Trial Lawyers Association, Virginia Bar Association, Fairfax Bar Association, and the Virginia Women Attorneys Association (president, 1999-2000). Susan has served as a member of Bar Council (the governing body) of the Virginia State Bar. She is past chair of the Board of Governors of the VSB Family Law Section and the Virginia Trial Lawyers Association Family Law Section. Additionally, she serves as a mediator with The McCammon Group. Susan has authored How to Get an Attorney Fee Award in a Domestic Relations Case, VTLA Journal, Summer 1992; Setting Aside Separation and Property Settlement Agreements, The Family Law Reporter, BNA, 1994; and, with David Masterman and Kim K. Huguley, The Short “I Do” – Divorce in Marriages of Brief Duration, Virginia Lawyer, February 2001. Susan frequently lectures at Continuing Legal Education courses and has authored/co-authored numerous Continuing Legal Education outlines, including the following: Practice Before the Juvenile and Domestic Relations District Court, Fairfax Bar Association CLE Seminar, 1992; Setting Aside Separation and Property Settlement Agreements, BNA Family Law Conference, 1994, and published in The Family Law Reporter, BNA, 1994; Using Vocational Rehabilitation Experts in Domestic Relations Cases, Virginia State Bar Advanced Family Law Seminar, 1995; The Short “I Do”: Divorce in Marriages of Brief Duration, Virginia State Bar Midyear Seminar, 2000, and published in Virginia Lawyer, February 2001; Parental Alienation: How to Argue and Defend in Custody Cases, Virginia State Bar Family Law Seminar, 2002; Dealing with the New Model Rules, Virginia State Bar Family Law Seminar, 2002; Professionalism Issues in Discovery, Virginia State Bar Advanced Family Law Seminar, 2003; Ethical Issues Facing the Family Lawyer, Virginia Trial Lawyers Association Annual Family Law Seminar, 2003; Tape Recording, Eavesdropping, Privacy, Computers, and Ethical Headaches, Virginia Trial Lawyers Association Annual Family Law Seminar, 2004; Successful Strategies for Getting the Kids: Legal and Practical Advice on How to Win a Custody Case, Virginia State Bar Family Law Seminar, 2004; Electronic Surveillance in Family Law Cases, Virginia State Bar Annual Family Law Seminar, 2005; Thorny Issues in Equitable Distribution Cases, Virginia State Bar Annual Advanced Family Law Seminar, 2005; Ethical Issues Confronting Family Lawyers, Virginia CLE 26th Annual Family Law Seminar, 2007; Attorney's Fees: Getting Them for Your Client and Yourself, Virginia State Bar Annual Meeting, 2007; Valuing Businesses for Equitable Distribution in a Divorce Case, Virginia Society of Certified Public Accountants, Annual Business Valuation Conference, 2007; and Recent Case Law Updates in Family Law, Virginia Trial Lawyers Association Annual Family Law Seminar, 1996-2001, 2007-2011.